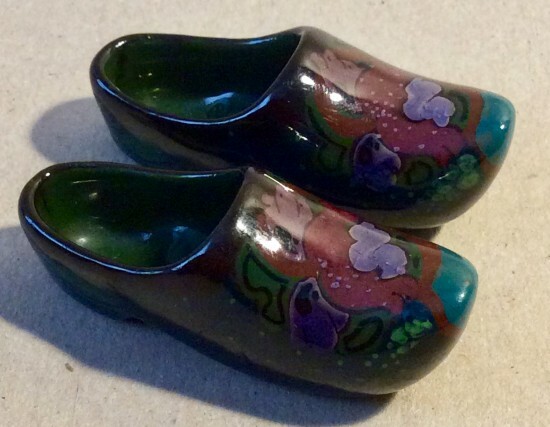 Description: Pair of miniature Gouda terracotta pottery clogs made by the Arnhem factory c 1900. No damage. 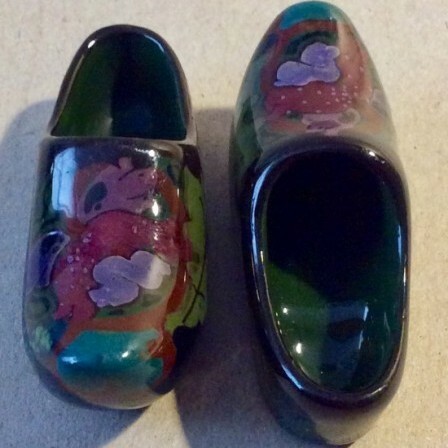 Shiny glazed clogs with oak leaf and flower pattern. 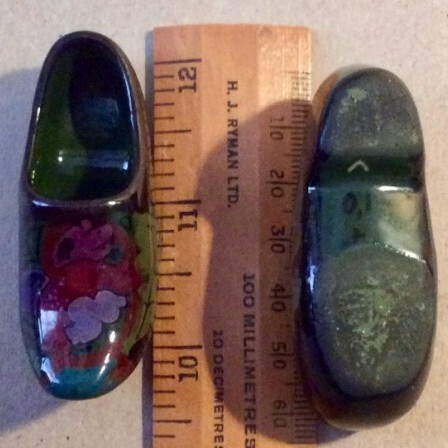 Dimensions: 6.2cm length, 2.4cm width,2.4cm height.